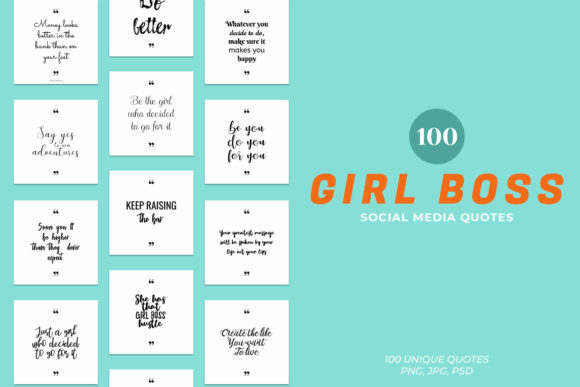 This Girl Boss Social Media Quotes Pack contains 100 high quality quotes templates. These templates are fully customizable and compatible with Adobe Photoshop CS3+. These are ready-to-go and easy to use, just place over a photo, or use any of the versions included as they are. You can upgrade your social media accounts in a stylish and professional way with this pack. 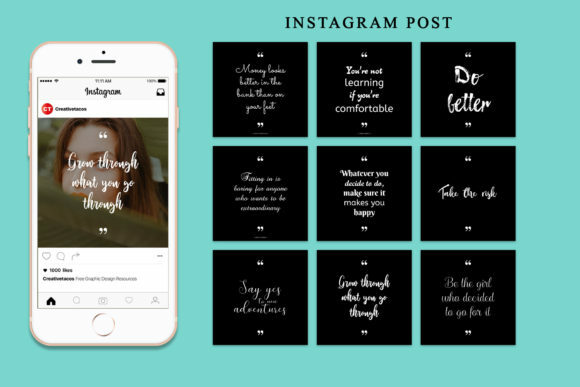 This collection is perfect for bloggers, marketers, typographers, graphic designers, bloggers, trendsetters, marketers, fashion designer, wedding planners, creative works, photographers, architects, small business owners or simply those looking to build or grow a following online. – It can also be used for Facebook, Pinterest and others. – Quick preview of all Instagram stories. 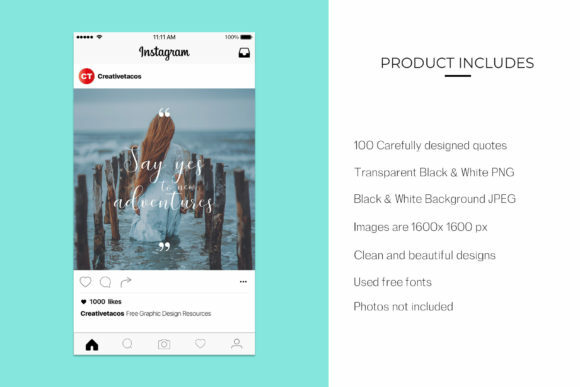 – High resolution / retina proof. 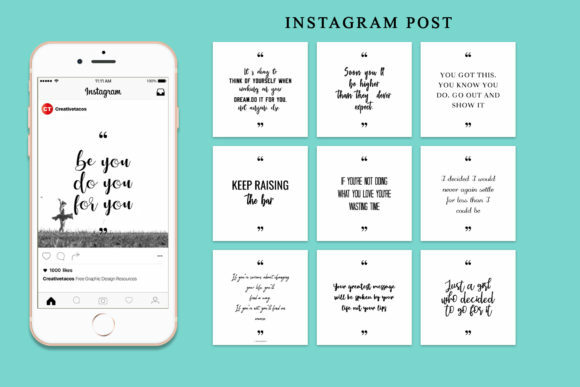 This collection is perfect for bloggers, marketers, typographers, graphic designers, bloggers, trendsetters, marketers, fashion designer, wedding planners, creative works, photographers, architects, small business owners or simply those looking to build or grow a following online.